Freshen your look with these pretty floral earrings, elegantly styled these are the ideal gift for that special friend. 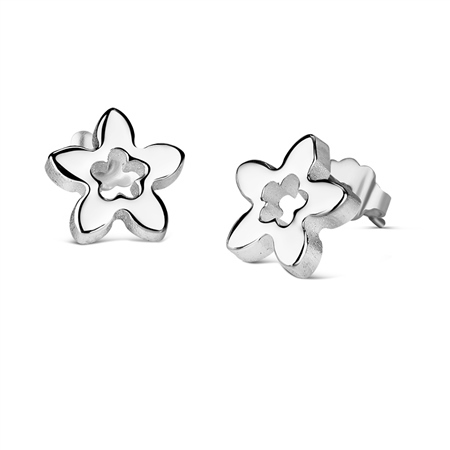 Silver plated floral earrings with a protective anti tarnish layer, unplated titanium posts with butterfly backs, presented in a Newbridge Silverware gift box. Product dimensions 9.5mm x 2.4mm For hygiene reasons earrings cannot be exchanged.